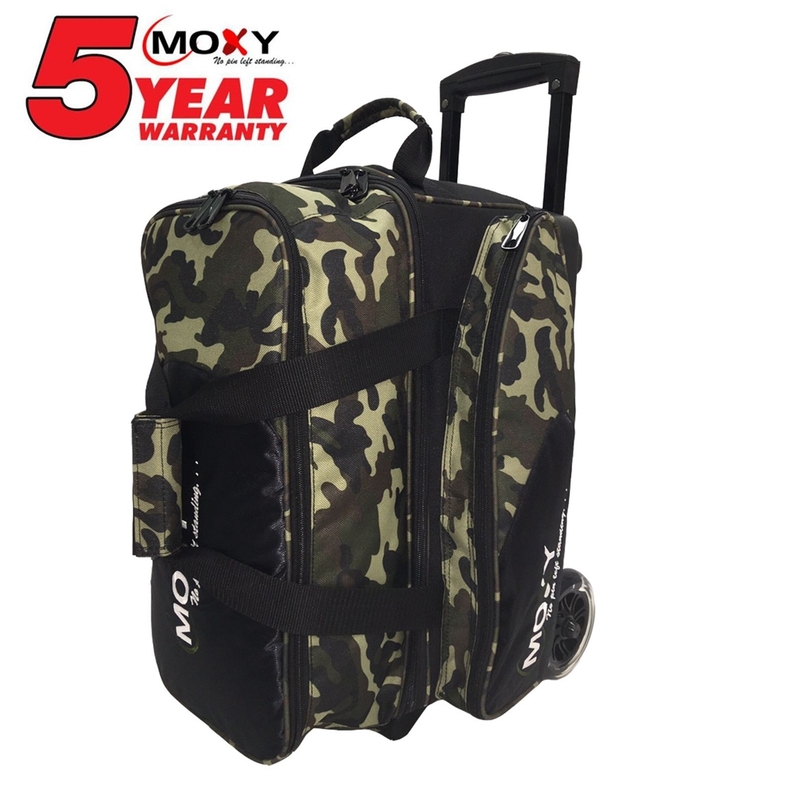 The Moxy Blade Premium Double Roller Bowling Bag is the perfect bag for any bowler due to it's great price and abundant features. With over 8 colors to choose from and matching wheels this bowling bag is a must have. Wheels: 4.5 inch Smooth, Ball Bearing urethane wheels for easy pulling. Shoe Compartment: Separate compartment on top of bag has room for 2 pair of shoes. Handle: Retractable square color-coordinated locking handle extends to 36 inches. Interior: Hook and Loop retaining straps securely hold 2 balls.